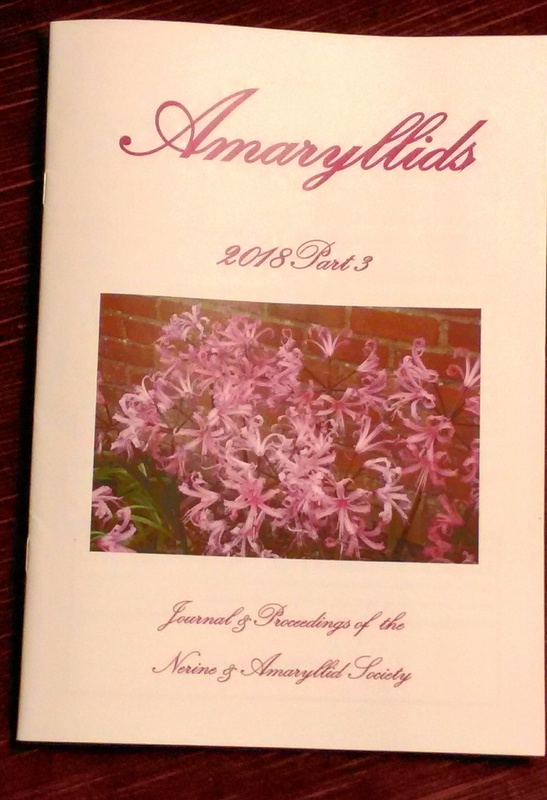 The Journal, “Amaryllids”, is published three times a year and distributed to members. - dissemination of information and research. The Journal has become increasingly more important in linking the interests of Society members and has been steadily enlarged and improved over the years. The Society has a small archive of material relating to the Society and Amaryllids (mostly nerines). Where possible electronic copies are being created for ease of access. Early copies of Amaryllids have been scanned and so back copies are now available electronically. There is an Index of the contents of each issue contained in the pdf below. If members would like to access specific issues please email carolinestone_mayfield@yahoo.co.uk. The desired copy will then be sent by email. There will be a nominal charge if requesting multiple issues to cover time and broadband usage that will go into Society funds. Please click below to view the Index.